Rails style database migrations are a useful way to evolve your data schema in an agile manner. Most Rails projects start like this, and at first, making changes is fast and easy. That is until your tables grow to millions of records. At this point, the locking nature of ALTER TABLE may take your site down for an hour or more while critical tables are migrated. In order to avoid this, developers begin to design around the problem by introducing join tables or moving the data into another layer. Development gets less and less agile as tables grow and grow. To make the problem worse, adding or changing indices to optimize data access becomes just as difficult. Side effects may include black holes and universe implosion. There are few things that can be done at the server or engine level. It is possible to change default values in an ALTER TABLE without locking the table. The InnoDB Plugin provides facilities for online index creation, which is great if you are using this engine, but only solves half the problem. At SoundCloud we started having migration pains quite a while ago, and after looking around for third party solutions, we decided to create our own. 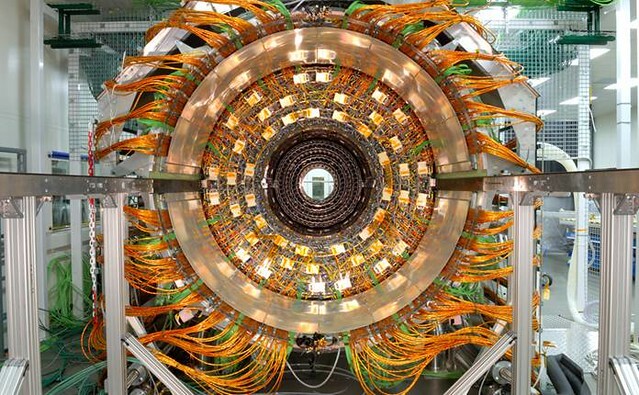 We called it Large Hadron Migrator, and it is a gem for online ActiveRecord migrations. The basic idea is to perform the migration online while the system is live, without locking the table. In contrast to OAK and the facebook tool, we only use a copy table and triggers. The Large Hadron is a test driven Ruby solution which can easily be dropped into an ActiveRecord migration. It presumes a single auto incremented numerical primary key called id as per the Rails convention. Unlike the twitter solution, it does not require the presence of an indexed updated_at column. Lhm currently only works with MySQL databases and requires an established ActiveRecord connection. It is compatible and continuously tested with MRI 2.0.x, 2.1.x, ActiveRecord 3.2.x and 4.x (mysql and mysql2 adapters). Due to the Chunker implementation, Lhm requires that the table to migrate has a single integer numeric key column called id. Another note about the Chunker, it performs static sized row copies against the id column. Therefore sparse assignment of id can cause performance problems for the backfills. Typically LHM assumes that id is an auto_increment style column. Install it via gem install lhm or add gem "lhm" to your Gemfile. Note: Lhm won't delete the old, leftover table. This is on purpose, in order to prevent accidental data loss. Lhm is using a throttle mechanism to read data in your original table. By default, 40000 rows are read each 0.1 second. If you want to change that behaviour, you can pass an instance of a throttler with the throttler option. There are two different table rename strategies available: LockedSwitcher and AtomicSwitcher. The LockedSwitcher strategy locks the table being migrated and issues two ALTER TABLE statements. The AtomicSwitcher uses a single atomic RENAME TABLE query and is the favored solution. Lhm chooses AtomicSwitcher if no strategy is specified, unless your version of MySQL is affected by binlog bug #39675. If your version is affected, Lhm will raise an error if you don't specify a strategy. You're recommended to use the LockedSwitcher in these cases to avoid replication issues. Note that this SQL will be inserted into the copy directly after the "from" statement - so be sure to use inner/outer join syntax and not cross joins. These conditions will not affect the triggers, so any modifications to the table during the run will happen on the new table as well. If an Lhm migration is interrupted, it may leave behind the temporary tables and/or triggers used in the migration. If the migration is re-started, the unexpected presence of these tables will cause an error. In this case, Lhm.cleanup can be used to drop any orphaned Lhm temporary tables or triggers. Optionally only remove tables up to a specific Time, if you want to retain previous migrations. To run the tests, follow the instructions on spec/README. Provide a comprehensive suite of tests for your fork. Have a clear and documented rationale for your changes. Package these up in a pull request. We'll do our best to help you out with any contribution issues you may have. The license is included as LICENSE in this directory. Generated on Sun Apr 14 05:54:11 2019 by yard 0.9.19 (ruby-2.5.1).